Members of the public enjoy skating and hockey on Kempenfelt Bay during a Winter Carnival. 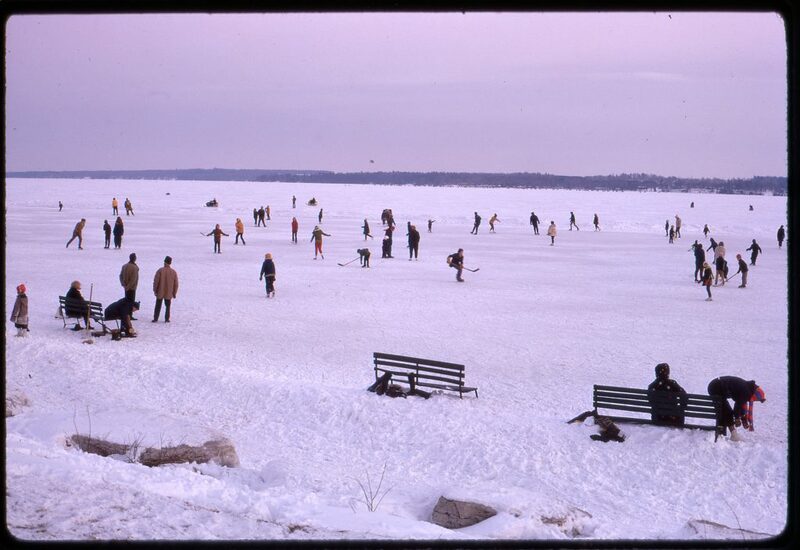 Home/Members of the public enjoy skating and hockey on Kempenfelt Bay during a Winter Carnival. Tags: Barrie Winter Carnival, Hockey, Kempenfelt Bay, Public, Rink, Skating.